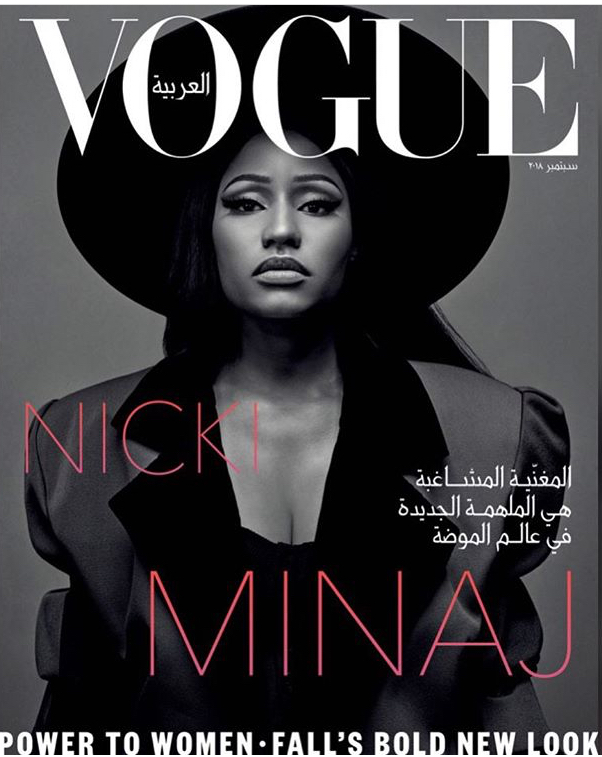 Nicki Minaj covers the new issue of VOGUE Arabia. The “Barbie Dreams” emcee is riding high on the success of her newly released album QUEEN. The album debuted at No. 2 on the US Billboard 200 with 185 album units sold. Her song “Barbie Dreams,” which has Minaj hypothetically rapping about all the rappers in the industry that she had relations with. 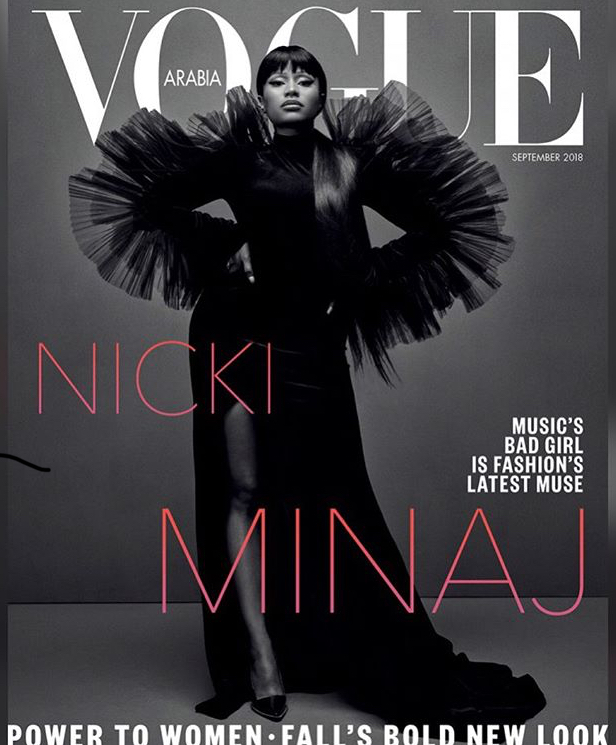 Check out Minaj’s new album and her dual album covers! Posted on August 19, 2018, in ENTERTAINMENT NEWS. Bookmark the permalink. Leave a comment.